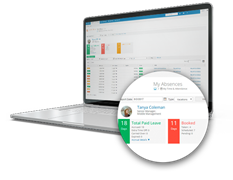 Time and Attendance is a solution that enables managing the global absence policies, employee time sheets, and absence records such as vacations, sicknesses, and business trips. Employees can request time off and the managers approve them. HR can track all the absence statistics, record and modify the absences, and approve or reject them. After logging in the Lanteria Demo Site I was provided as an HR person, and clicking on the Time & Attendance module, I am presented with a nice menu allowing me to access all the parts of this module. On the left, I have a very useful list of actions that I can do as a user such as registering a vacation request, sickness and so on, while on the right I can view the OOF calendar, Timesheet report and so on. The menu changes depending on what your role is, and what permissions you have in the platform. As an HR person, the first thing I would probably do is create an Absence Plan for my employees, or multiple absence plans depending if my company as offices in multiple states/countries or provinces. 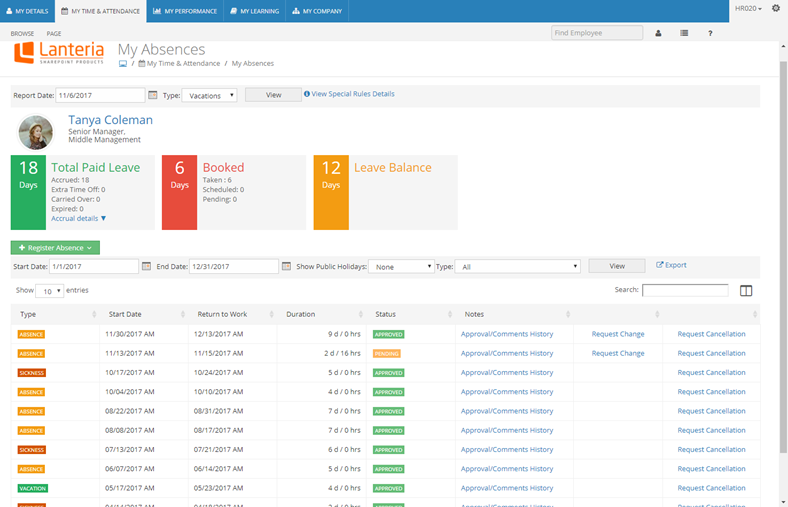 As you can see in the next screenshot, Lanteria allows you to create multiple Absence Plans for your employees, so you can assign each one to the right plan afterwards. Those plans define not only the amounts of vacations per employee, but also certain settings like: Can Vacation days be carried over to the next year? Can employees take more vacation days then they have currently accumulated? You can also specify multiple rules of the number of vacation days this policy give access to depending on the age or seniority of the employee in your organizations. In the example below, employees that have been with the company for less than 5 years get 20 days of vacation, while employees that have worked for 6 or more years get 25 days per year. 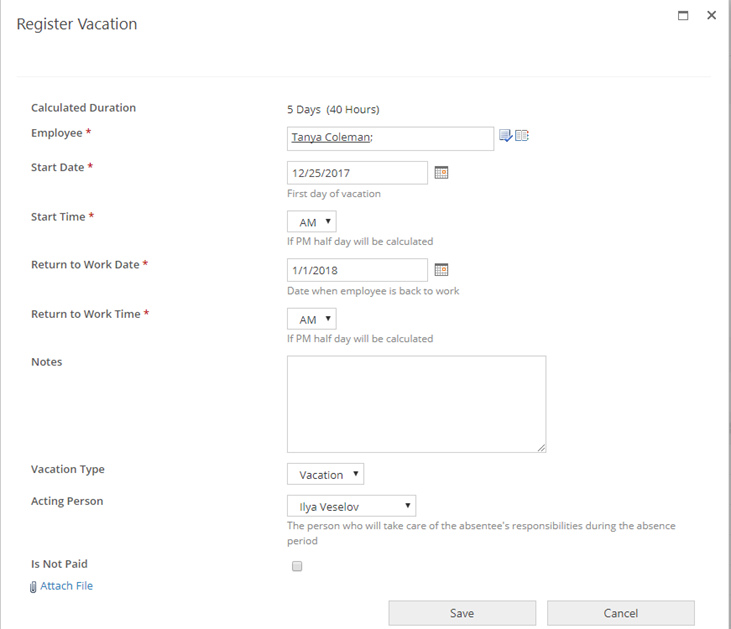 You can also add multiple other rules to calculate the total time of employee vacation every year. You can then also create rules for sickness leave. In the screenshot below, everyone between the ages of 18 and 100 gets 10 days of sick leave per year, and employees can overbook them. 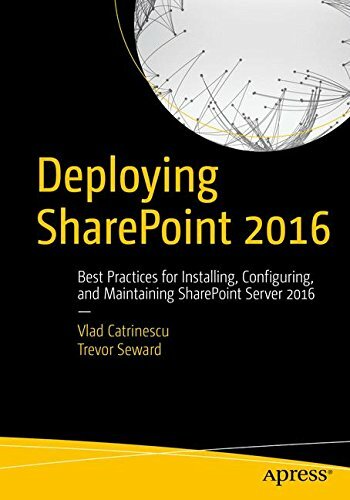 Finally, you can also add other Annual Absences such as Jury Duty, voting leave and so on, and decide to what countries it applies to. 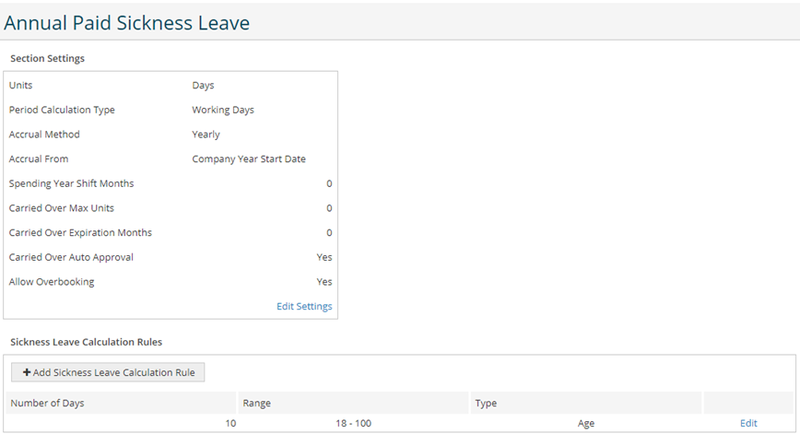 As an employee, you can easily go to your “My Absences” dashboard, and view the number of total Paid leave days you can take, how many you have already booked, as well as the absence requests that you have requested, and their status. 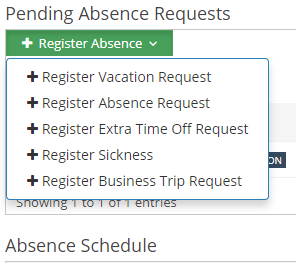 I can also click on the Register Absence button to request a new vacation, and enter all the details that are related to the current vacation request. As an employee, I can also track my time in different Projects and Activities in the Timesheet functionality. There is also a clock in – clock out future that I can use that will automatically track the time spent between when you clock in and clock out on that certain project. As a Manager who needs to manage a team of employees, I can view an Absence schedule of all my employees at a glance, so I know who will be gone when. I can also see all the Pending Absence Requests, so all the requests for absence that my employees have done, and I can easily approve, or reject them! 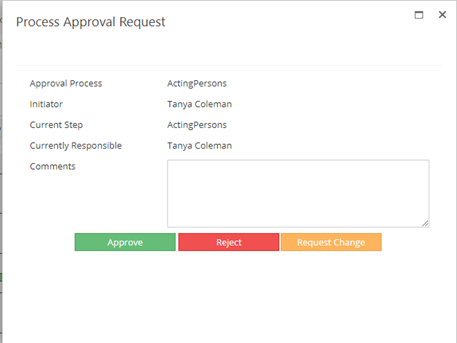 I can approve, reject or even request a small change in the absence request, and provide comments on my decision! As a Manager, I can also register an absence on behalf of another user. If an employee is sick and cannot come to work today, chances are they will call their manager to tell them, and their manager can directly register the day inside the system for them! 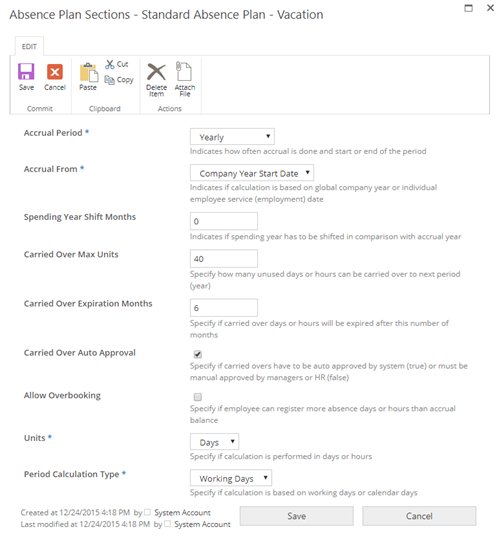 As an HR professional, there are also multiple reports included with the Time and Attendance module allowing you to have the full view on your company, and view the summary, schedule as well as statistics on how many vacation days each employee has. 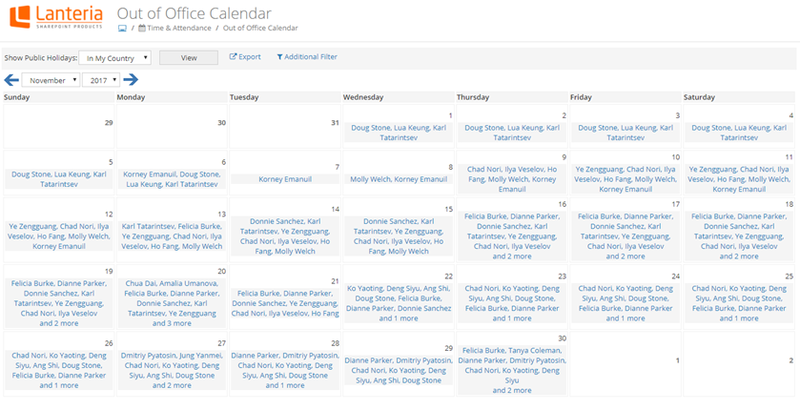 I also have a very useful Out of Office calendar, allowing me to view everyone in my company that is out of office. Throughout my testing, I found the Lanteria Time and Attendance module to pack a lot of functionality, in a very simple to use interface. This module allows you to create absence policies for your employees, automatically calculating the time of vacation and sick days they can get, as well as statutory holidays, and special absences such as Jury Duty. 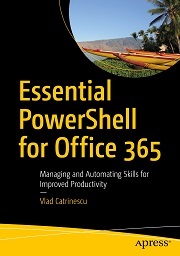 The module also includes functionality such as Timesheets, for which companies would have to purchase Project Server in order to have similar functionality, and even then Lanteria has more features around this. 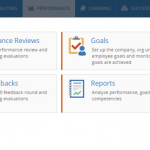 One of the things I really like about this module, and the Lanteria HRMS suite in general, is that it’s really made for HR professionals, by HR professionals, and as a business owner myself, everything that I wish for is really in the product. 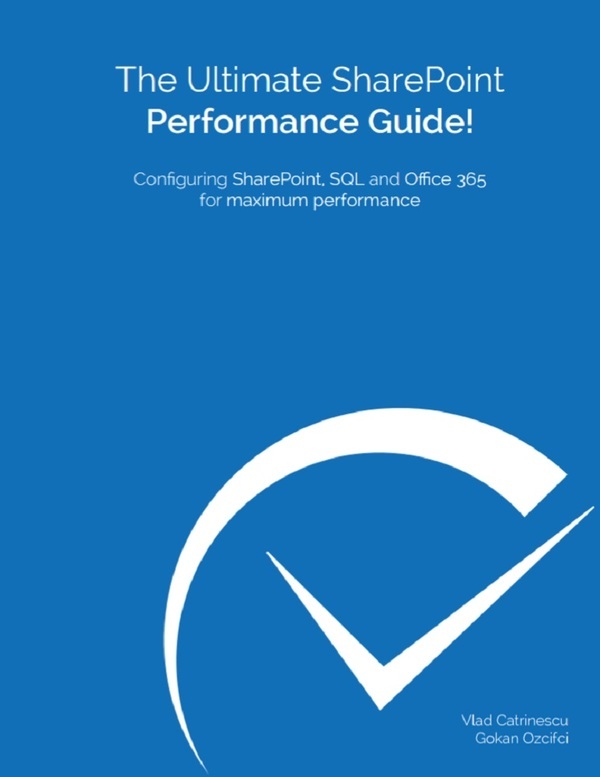 Having reviewed multiple of the other Lanteria modules in the past years, the integration with the other modules is really good, and allows you to fully manage your Human Resources from SharePoint. If you want to learn more about the Lanteria Time and Attendance module, check out t heir site at: or click the banner below.